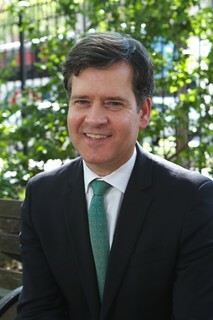 Soon after Thomas K. Duane announced he wouldn’t run for re-election, the state senator all but endorsed Community Board 2 Chair Brad Hoylman, who has worked with him on many East Village issues. Over a plate of eggs over-easy, Mr. Hoylman told The Local the senator’s is “a huge legacy to live up to,” and that he considers it a “solemn responsibility to do so.” He also got specific on how he’ll carry the torch should he win in November, talking tenants’ rights, transgender equality and the new ideas that are at the top of his to-do list. What parts of the Duane legacy do you plan to carry forward? Tom’s advocacy on tenant rights is something that I feel very strongly about. I have some background myself, in the area, not only working with Senator Duane over the years in that realm, but also as a former board member of Tenants & Neighbors, the tenants rights group. And I, as Community Board 2 chair, just launched an initiative where the board will now have a tenants clinic for the first time in cooperation with MFY Legal Services: tenants who meet income level requirements in the CB 2 area will be able to come to our tenants’ clinic and get free legal representation from MFY. So that’s the kind of tenant outreach that I want to do, and continue to do to build on Tom’s legacy.